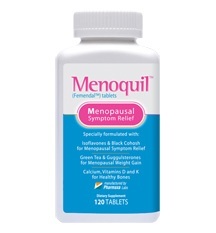 Menopace is a formulation of twenty one nutrients used to effectively ensure a woman’s health during menopause. It is a food supplement that does not contain synthetic hormones allowing it to be used simultaneously with hormonal replacement therapy or after a hysterectomy. 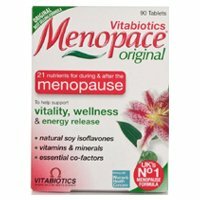 Vitabiotics, as the manufacturer of Menopace, developed this product with efficient levels of vitamins and minerals based on a Recommended Daily Allowance thereby avoiding excessive amounts of ingredients to prevent deficiencies. Vitabiotics ensures that the product is produced in conformity to the official upper safe limits of the 21 nutrients. What Menopace Claims to Do? 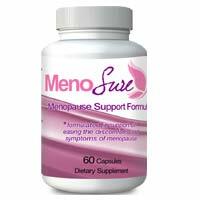 Menopace helps regulate the natural balance of the body’s hormones during menopause particularly estrogen and progesterone since it contains vitamin B complex, zinc and magnesium which serves as precursors of the body to produce hormone like substances. It maintains the nervous system and brain function and promotes optimal sense of well-being due to vitamin B complex and soy isoflavones. It helps maintain the collagen production and deposition of the body since the product contains Vitamin C, copper and zinc. 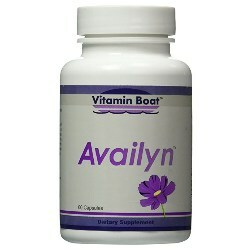 The components magnesium, zinc and vitamin D prevent bone loss acceleration through the maintenance of bone density. It contains antioxidants like selenium and vitamin E which avoids the unwanted oxidation of fat and cholesterol thereby leading to a balanced cholesterol blood level. Homocysteine, an amino acid in the blood, is maintained at a lower level which is associated to a healthy cardiovascular system due to vitamins B6, B12 and folic acid. Menopace is to be taken once a day with a full meal or subsequently thereafter in order to maximize nutrient absorption and to avoid possible nausea associated with the intake of the supplement on an empty stomach. It is important to take this with abundant amount of water to help flush it down. Be it noted not to take Menopace on an empty stomach or with coffee or tea to avoid early disintegration of the capsule. Are There Any Undesired Effects While Taking Menopace? There are no known side effects or adverse reaction of this food supplement. Having its chief components composed of mostly vitamins and minerals decreases the chance of having a negative reaction to the body. It is good combination of twenty one nutrients designed to preserve every menopausal woman’s health and vitality. It is a food supplement with vitamin and mineral content in moderation and does not contain synthetic hormones. Menopace has been formulated by a team of experts such as medical consultants and pharmacist who conducted a solid and scientific research that can prove its safety and effectiveness. 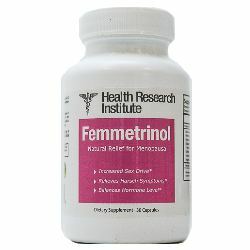 It is suitable for all stages of menopause, may it be pre or post-menopausal stage. It does not contain potential allergens such asartificial colours, preservatives, gluten or gelatine, fat, drugs and synthetic hormones. It can be taken by vegetarian women and was not tested on animals. It can be taken with or without hormonal replacement therapy and is appropriate for women who have undergone total or partial hysterectomy. 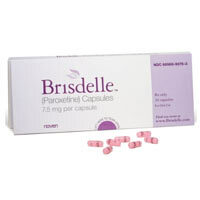 The herbal supplement is produced in a blister pack in order to maintain the freshness of the capsules through the actual reduction of its exposure into the atmosphere. Menopace has no known clinical testing and results done in a controlled setting that can guarantee consumers safe and effective workings of the supplement. Upon purchasing the product, the company doesn’t provide a money-back guarantee if the consumers find the product ineffective. The availability of this food supplement may present a problem for this is not yet readily available in all countries. According to the website, results may vary depending on the individual. Results may show typically over several weeks which may last until three months of continued use. Be it noted that since the actual component of the product are listed, its mechanisms are known to the consumer thereby increasing the reliability and efficiency of the product. Consumer Mrs. L Woollard left a review on Amazon that she had taken vitabiotics for her hot flushes. It took almost two weeks to take effect and now it has been two months since she had hot flashes. On the other hand, consumer Yvone has stated that after taking vitabiotics for two months, she has felt no difference in the discomforts she was feeling like night sweats and fatigue. Consumer Julia also left a comment on Amazon that taking vitabiotics has not only failed to alleviate the symptoms she was having but it made it even worse. She does not recommend the use of the products to 7 future consumers. The product contains adequate information backed up by scientific studies to prove its efficacy which is a good indicator of its reliability. Be that as it may, although information is presented, consumers must be decisive enough and must use this product with utmost care. Consult your physician first before using this supplement.